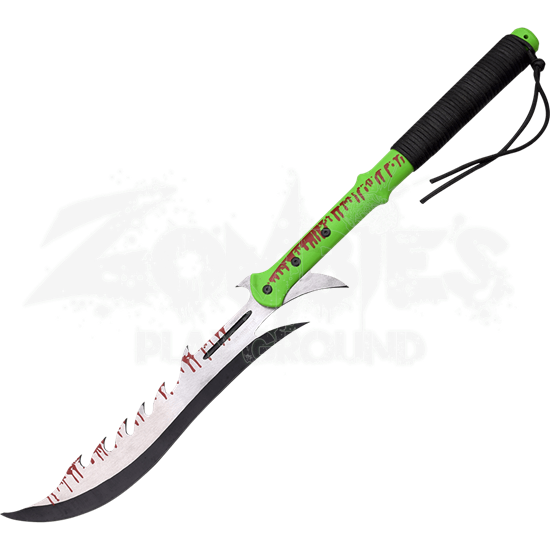 Featuring an eye catching and distinctive design, the Saw Back Zombie Hunter Machete features a large fantasy inspired blade which is reminiscent of a scimitar and a long handle which allows for it to be wielded with two hands. This blade is crafted from stainless steel and features a two-toned finish, with the edge done in black and the remainder in satin. Its cutting edge is curves upward toward the tip to form a sharp point and features two spur shaped points at its bade. The spine is designed with several large saw teeth along its center and is decorated with dripping red blood. These decorations continue onto the nylon fiber handle which is green and has black nylon cord wrapped around its ends for improved grip. A black nylon sheath is included with this machete to allow for its safe storage. 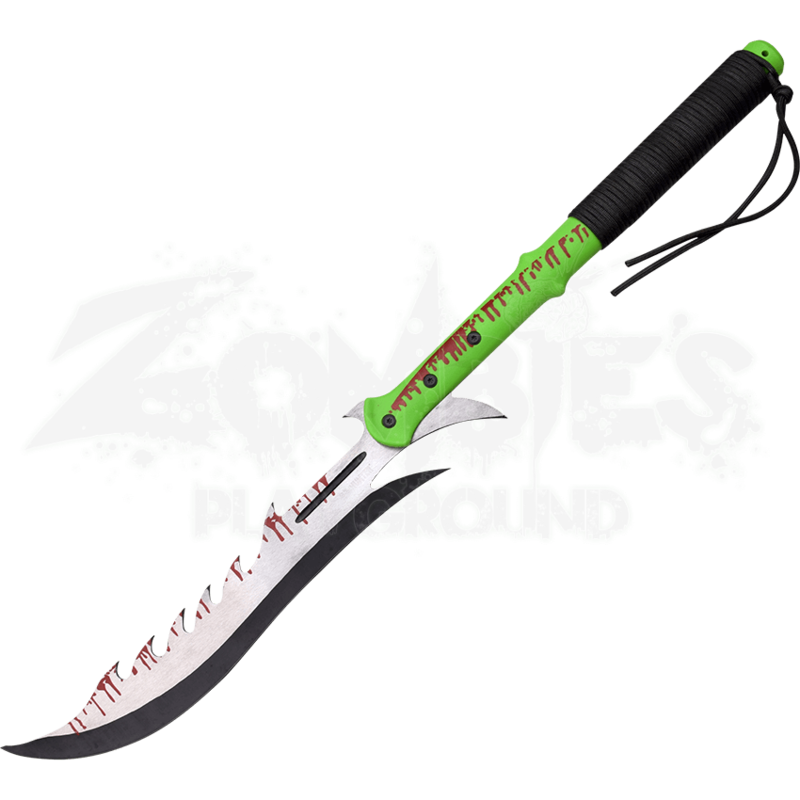 Enhance your collection of survival weaponry with the addition of the Saw Back Zombie Hunter Machete.